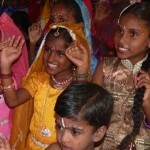 Humanium has provided support for 10 projects in India. 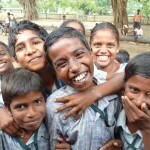 Since 2009, Humanium has collaborated with local partners in India with the aim of tangibly implementing children’s rights. As a result of these collaborative projects, the living conditions of children and their communities have considerably and lastingly improved. 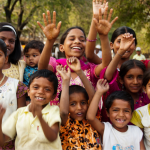 These children are now able to build a better life. The goal of this project is to open a Residential Special Training Centre to end child labour through education, offer child labourers tailored educational, physical, mental and emotional support, and ultimately to reintegrate the children into public schools. The goal of this project is to improve the living conditions of a whole village of several thousand people in a rural area, through sustainable economic and ecological development for the entire population: Sustainable Smart Village. 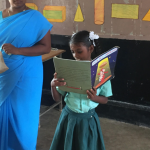 This project aims to end child labour through education, offer child labourers a tailored educational, physical, mental and emotional support to ultimately reintegrate the children into public schools. Our project aims to promote sustainable development in agriculture and to reduce negative impacts on the agricultural fields in India. An integrated community development project aimed at sending all children to school all while eliminating malnutrition and poverty. 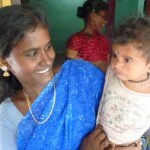 Integrated community development project aimed at sending all children to school while eliminating malnutrition and poverty. A financial assistance project enabling young people from disadvantaged families to pursue higher education. An integrated community development project aimed at improving the living conditions of the most disadvantaged people and eliminating child labor. 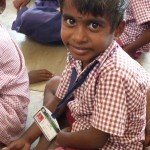 An integrated community development project aimed at eradicating child labor and lastingly improving the living conditions of the most disadvantaged people.